All agreed it was an extremely beneficial meeting with chair of Nailsea Town Council David Packman giving an update on the ownership of the skate park and the land around, and local youth worker Neil Wylie reviewing the skate school from last year and outlining plans for the year ahead. 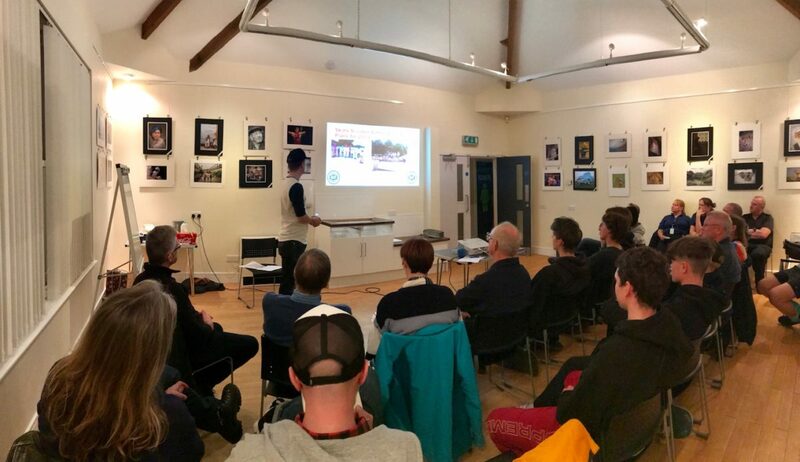 Phil Williams chaired the meeting and was able to share exciting news about this year’s Nailsea Community Skate Festival on June 8, and also remind people of plans for the spring clean on April 10. The local community police were also able to share some of the successes from last year’s initiatives, especially throughout the summer, including the building of the youth shelter in the park, and also highlighted some of the exciting events they have planned for this summer – particularly on Friday nights from June 21st – which include a number of activity initiatives and first aid training. There were discussions about the litter issues and graffiti in the park, with some positive input from park users on ways to tackle this, and thoughts were also shared about the possibility of installing controlled floodlights at certain times of the year. The Nailsea Skate Park Project team are very much looking forward to welcoming everybody at 10am on April 10 to the skate park for the spring clean. Phil Williams said ‘Talking to the users themselves afterwards, all thought it was a really beneficial meeting and quite an eye-opener for them. Everyone is determined to sort out any short-term problems in the park so that it continues to be a place of fun, safety, and community friendship. With a public space there are always going to be challenges, but by working together I believe we can sort these issues out’. For all the latest news on some of these initiatives, please join the Nailsea Skate Park Project Facebook page or e-mail nailseaskatefest@gmail.com. As well as the popular competitions set to take place at the Skate Festival on 8th June, there is an opportunity for local community organisations and clubs to come together and promote themselves. Any groups wanting to put on a short performance or demonstration to showcase to the community what they do should please contact nailseaskatefest@gmail.com.